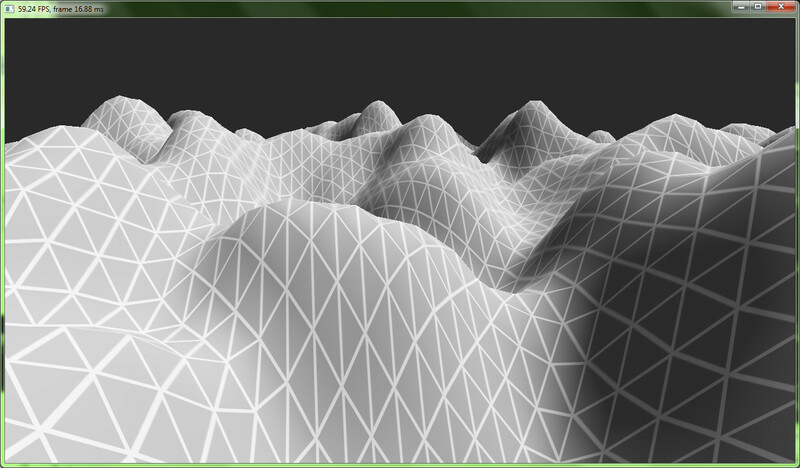 I code a terrain heightmap rendering and today I wanted to make it looking like in Darwinia. 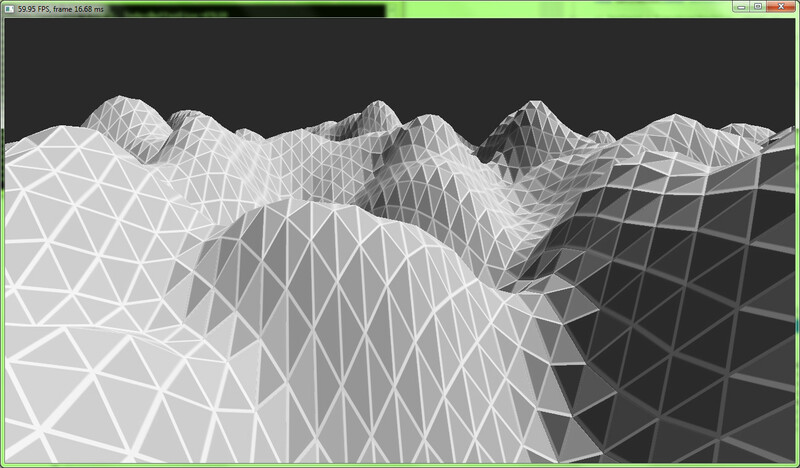 After preparing approporiate texture it turned out that normals of my mesh used for lighting are smoothed. That's not a suprise - after all there is a single vertex in every particular place, shared by surrounding triangles, refered multiple times from index buffer. How to make triangles flat shaded? Make every vertex unique to its triangle to have different normal? In Direct3D 9 there was this state used by fixed function pipeline you could set to device->SetRenderState(D3DRS_SHADEMODE, D3DSHADE_FLAT); What about Direct3D 10/11? A simple solution is to use interpolation modifiers. Fields of structure passed from vertex shader to pixel shader can have these modifiers to tell GPU how to interpolate (or not to interpolate) particular value on the surface of a triangle. nointerpolation means the value will be taken from one of vertices. That solves the problem.